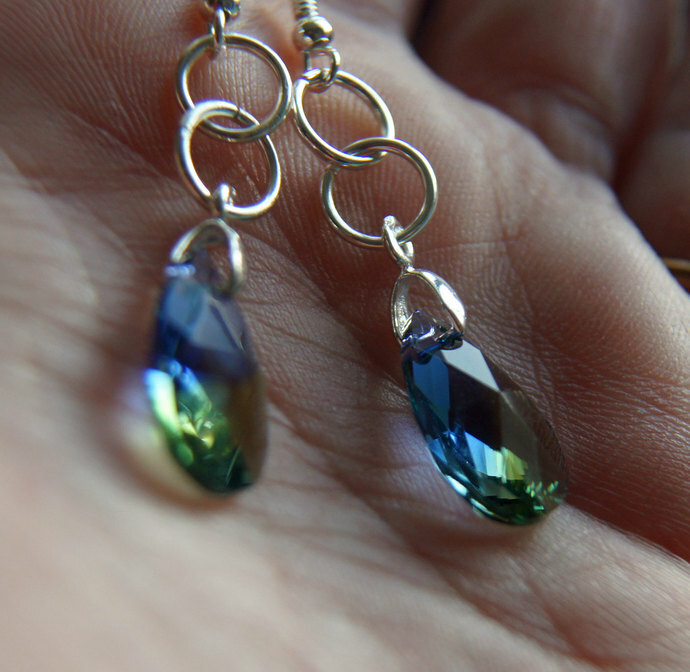 Austrian crystal pares lavender and soft green. Iridescent captures the light in majestic beauty. Chrysolite was the name used in the ancient world for many gold and greenish-yellow gemstones, but especially peridot. 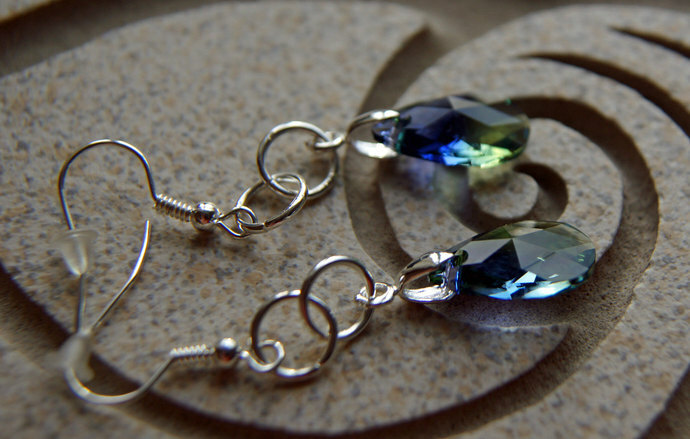 Suspended on sterling silver shepherd hook (fisherman's hook) ear wires. The crystal measures 0.511 inches (13mm) . The full length from top to bottom is 2 inches including ear wire. This item was inspired by natures Iris, beautiful deep in with vibrant green and purple has always been a favorite of my Mother. 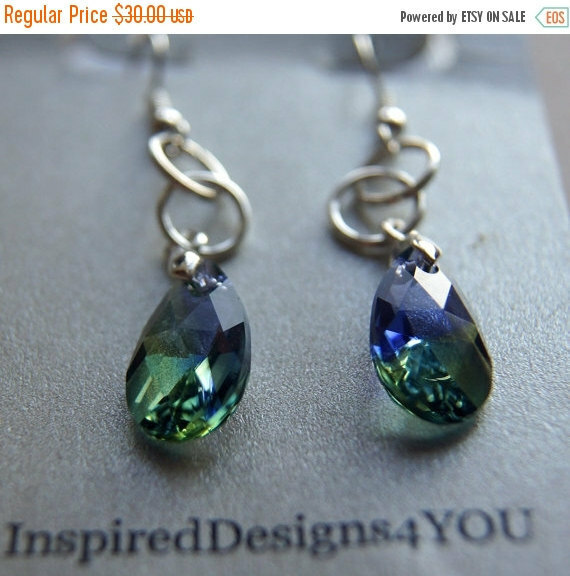 These earrings offer a softer hue, pare nicely with shades of lavender, mauve, purples and any spectrum of greens. Lovely a nice these beauties will take you anywhere from luncheon engagement, to casual dining and elegant evening wear. Other sizes available are (0.811 inches) 23mm in length. Photo 3 shows the set with matching pendant which is available for purchase. 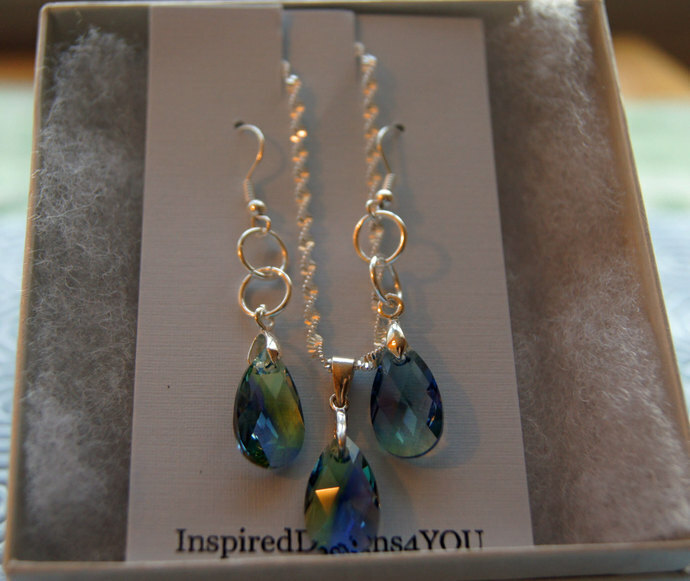 Shipping: All items are packaged in a 'gift' box for giving and to protect your earrings. Inside each box is a jewellery 'anti-tarnish tab' please keep inside the box when not earring, this will prevent tarnish activity that is naturally occurs in the air from natural acid.